Hi I’m Rebecca. I support pregnant and post-natal women, couples seeking fertility and IVF support, babies and children, as well as all aspects of women’s health. I use acupuncture and Chinese medicine to achieve improved health and wellness, which seeks to address the root cause of your issue. Acupuncture for kids is super gentle and very different to adult acupuncture. Read more on the Paediatric Acupuncture page! I’m the co-director of Red Tent Health Centre and Acubirth, which have expanded to work within the Wholistic Medical Centre. I’m passionate about women’s health, as women are often at the centre of their family and community. When you go down, the whole family starts to sink. As well as face-to-face treatments for yourself and your family, I regularly do phone consults for post-natal clients and for those who live far away. I run online courses for midwives which are accredited by the Australian College of Midwives and American College of Nurse Midwives. I studied at the University of Technology Sydney and finished my degree in Beijing China. I’m constantly updating my skills with the latest in integrative medicine as well as deepening my Chinese medical knowledge. Yonit will be locuming for Rebecca Mar Young in Red Tent Surry Hills from April 17 to June 1, 2019. Yonit graduated with a Bachelor of Health Science (in TCM) from UTS in 2012. Her focus since then has been in fertility and women’s health, issues she feels passionately about. She’s been practicing in specialised clinics in Sydney for the past seven years. Yonit combines evidence-based research as well as the enigmatic and poetic teachings of Chinese medicine, because like our mind and body, neither can be ignored. 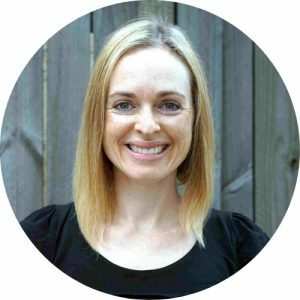 She’s committed to providing safe, comfortable, and supportive treatments, as well as realistic health goals and plans that are individualised to suit your life. In order to broaden her understanding of the body and the reach of acupuncture, she started studying medicine (Doctor of Medicine, UNDS) in 2018. She has locumed for us at Red Tent many times over the years. We highly recommend her and will leaving you in her care whilst Rebecca enjoys some important time out with her family. For an appointment, please call Red Tent Surry Hills (located within the Wholistic Medical Centre) on 9211 3811.